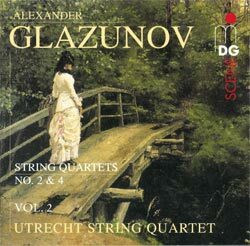 I don't remember a better-sounding string quartet recording....you'll admire its fullness and resonance, and sharp focus that helps retain a sense of intimacy. 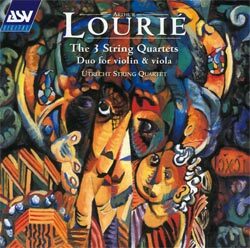 The soulful and perfectly shaded opening…followed by impetuosity in the big and thrusting central theme, are indicative of the wide –ranging mood changes and intensity of the USQ performance as a whole. 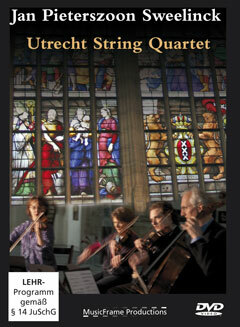 …the long-established Utrecht players are in every way outstanding and enjoy superb sound quality. 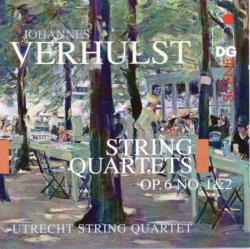 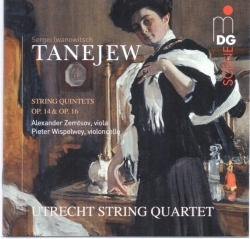 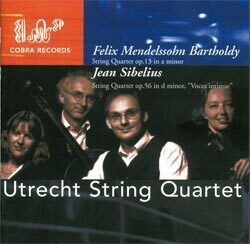 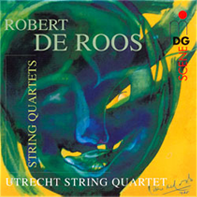 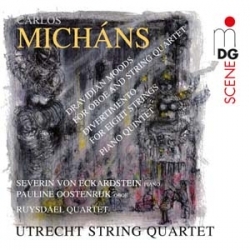 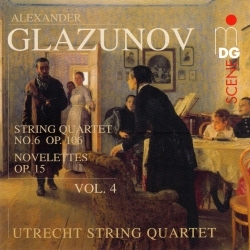 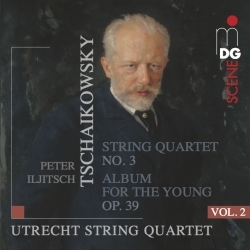 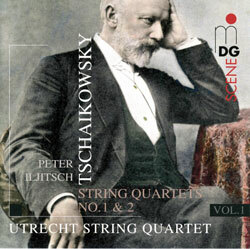 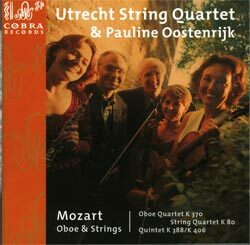 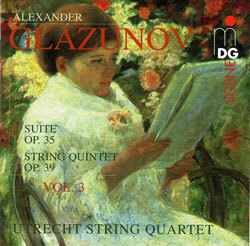 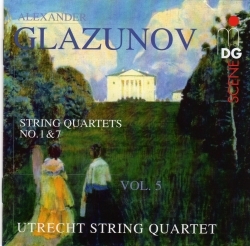 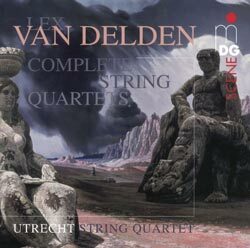 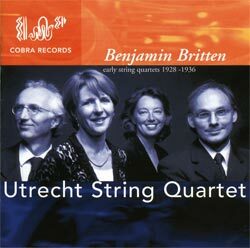 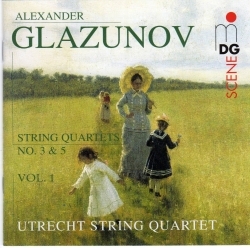 ……the first volume of a promised complete set from the gloriously virtuosic Utrecht String Quartet—appears to be the dream interpretation that these quartets have been waiting for. 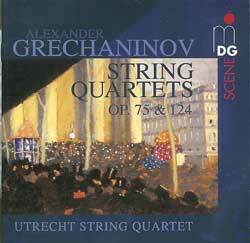 These are benchmark readings of the highest quality in super surround sound, and I can’t wait for the completion. 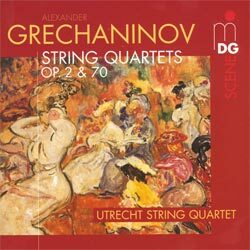 This SACD is well worth setting alongside the Borodin Quartet's recording on Chandos; I look forward very much to hearing the second volume. 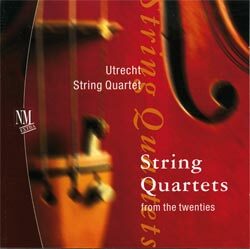 The Utrecht has great unity of purpose here, and to the extent that the players have surrendered their musical identities to that of the group for the sake of the music, their homogenized playing is admirable. 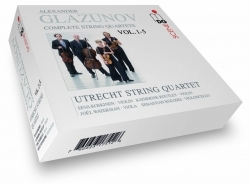 ….die Tugend des USQ ….das behutsame, druckarme und transparente Spiel.